Whenever you see closed-circuit television cameras around, you know they are there to protect the property from burglary. Few burglars would be brave (or silly) enough to burgle a property in Blackpool that has CCTV monitoring the surrounding area. 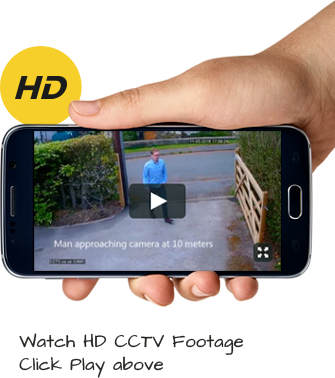 No one wants to get caught on camera breaking the law, which is one of the reasons why CCTV is a good deterrent for burglars. But if you thought this was the only crime the cameras could help prevent, think again. We’ve highlighted two more crimes your CCTV system could protect you from. Mindless vandalism may not cause injury to people, but it is still frustrating, not to mention time-consuming to put right. Of course, some things may become unsafe to use if they have been vandalised, so there is still a connection there. But vandalism is costly to businesses that are attacked in this way. It takes time and money to put right the damage, and it can affect the way people view the business, too. Install CCTV cameras, however, and you could at least reduce the chances your Blackpool-based business will be affected like this. Anti-social behaviour is a term that covers lots of situations. For example, someone under the influence of drink or drugs may do things they would never dream of doing ordinarily. Some people are quicker to temper than others, as well – and this could create problems if they find themselves in triggering situations. While CCTV cameras cannot prevent all instances whereby anti-social behaviour is an issue, it can reduce the odds a business or private property might be affected by it. Wouldn’t you reduce the odds if you could? CCTV installed inside a shop, for example, may make people think twice before trying to attack the people working there. It therefore provides reassurance and tips the odds in favour of the owner and their workers. Your new CCTV system begins by calling our team on 0800 211 8310, and it won’t cost you a penny to do so. We’ve also set up an email address you can contact us at if you prefer. Just send your requirements to info@cctv.co.uk to find out how affordable our CCTV kits and installation services are. Reduce the odds of being caught up in crime today.